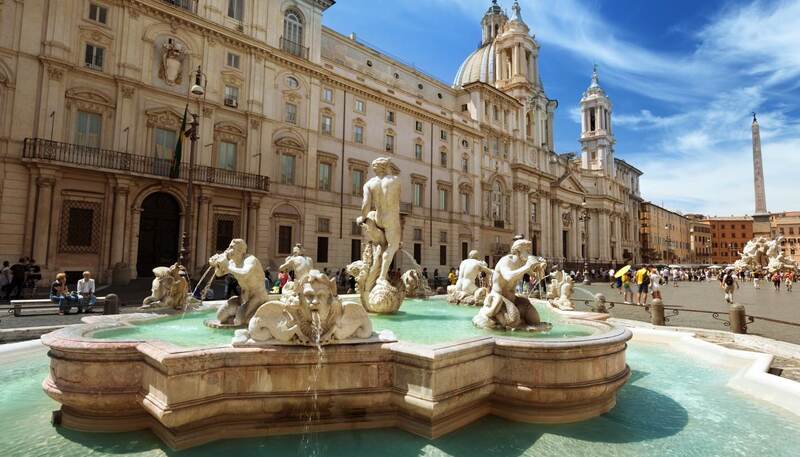 There is a wide range of hotels in Rome, including a good selection of spa stays. 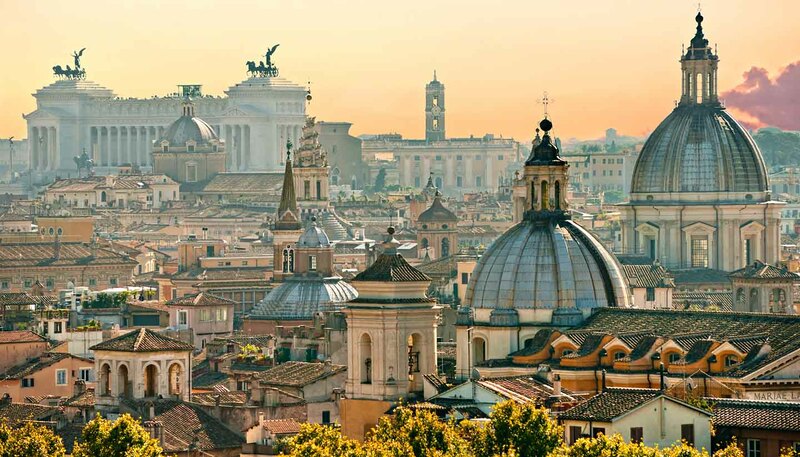 As Rome is a year-round destination, with high season periods being July and August, Easter and Christmas, the best deals are usually found between January and February or October and November. These are the starting prices for one night in a double room and include taxes and breakfast. This 5-star hotel near the Borghese Gardens is worth a visit for the art collection alone - works by Picasso and Dali are among those that line the walls. An excellent spa and roof terrace make it great for a pampering weekend too. Telephone: +39 6 487 881. The elegant Hassler Roma has awe-inspiring panoramic views over Rome. It's hosted a firmament of stars including Bill Clinton and Tom Cruise. The rooms are decorated in classic style, with sweeping floor-to-ceiling curtains, Venetian glass chandeliers and marble bathrooms. Ask for a room with either a balcony or terrace. Telephone: +39 6 699 340. In a prime spot by the Spanish Steps, this sedate and sophisticated hotel is where the poet John Keats stayed when he visited Rome in the 19th century. There are roaring fires in the public lounges where guests can relax with a book and a pot of tea. Telephone: +39 6 699 811. Close to Piazza del Popolo, the classy yet moderately priced Locarno dates back to 1925. It's full of atmospheric art deco details, from its rattling cage lift to the wood-polished bar. Each room is uniquely decorated with discreet antiques and coordinated Liberty-style wallpaper and fabrics. A real find. Telephone: +39 6 361 0841. Just off central Via Veneto, this is a business-like oasis. The interior is contemporary, with stylish design that sets it apart. The 59 bedrooms and six suites are spacious and serene, and there is the Il Roseto Restaurant, an outdoor courtyard and rose garden (hence the hotel's name) where you can breakfast and dine in fine weather. Telephone: +39 6 421 741. This chic hotel in the Monti district in Central Rome has stylish, light-filled rooms that are just perfect to unwind in after a long day of sightseeing - if you need even more help to relax, just order an in-room massage. A breakfast buffet is available daily, and served in the courtyard garden in summer. Other facilities include a gorgeous bar and complimentary bike rentals. Telephone: +39 6 48 91 34 46. Hotel de Monti is situated on the third floor (no lift) of a 16th-century building in the bohemian Monti district, a ten-minute walk from Roma Termini station and a 15-minute walk from the Colosseum. The seven bedrooms are modest, but include ﻿air-conditioning, sound-proofing and ﻿en suite bathrooms, and a complimentary breakfast with excellent coffee is served in the room. Staff are extremely welcoming and helpful. Telephone: +39 6 481 47 63. Sitting on the peak of the Esquilino hill, Hotel d'Este is a characterful, old-fashioned place with 31 charming bedrooms. Housed in a timeworn palazzo, rooms have high ceilings, period detailing and classic furnishings such as brass beds and mahogany-coloured dressers and wardrobes. Breakfast is served on a roof terrace. Established by Californian couple Steve and Linda, The Beehive is deservedly one of the most popular, budget stays in Rome. Run with great personality and warmth, the house features dorms or private rooms with original artworks on the walls, a vegan and vegetarian café, a book exchange and a yoga studio. Telephone: +39 6 4470 4553.